Though we’re obviously a couple of months away from the unveiling of the Google Pixel 3 lineup, the leaks for the device have been rampant. We’ve already got a look at the all-white look of the flagship, and found out some bits about its specs, but now we’ve got our initial look at the production hardware of the Pixel 3 XL, along with the full retail packaging. First reported by Android Police, the video and images for the Pixel 3 XL final production unit have come from Russian tech blogger Канал Лучкова’s Telegram channel. They give us a good look at the device from both the front and back, fall in line with the recent leaks. 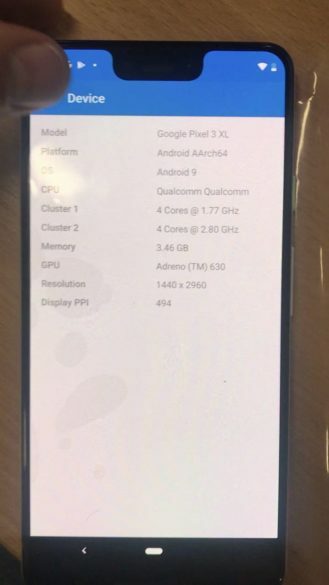 We have also got a peek at the specs of the Pixel 3 XL, which as you see below, is going to sport a Quad HD 19:9 display (1440×2960 pixels) and is expected to be powered by the Qualcomm Snapdragon 845. The biggest annoyance, however, is that Google is sticking to 4GB RAM and not opting for higher memory with its upcoming flagships, which might peeve off those used to seeing 6GB RAM as default these days. 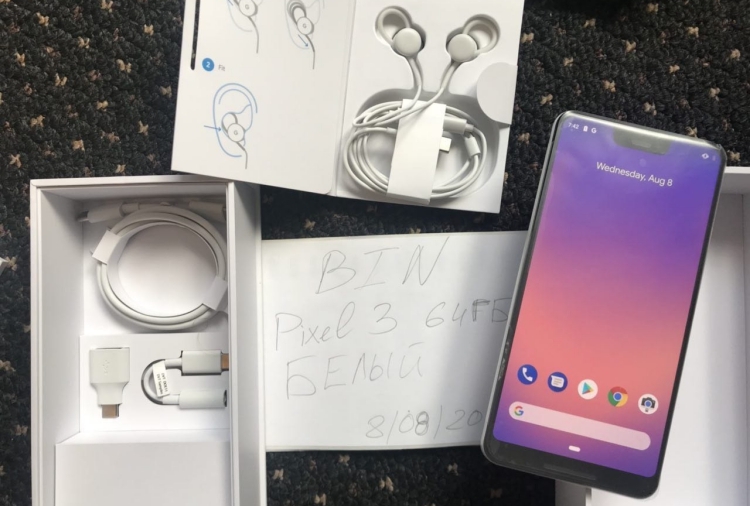 The biggest surprise comes in the Pixel 3 XL retail box, which has a pair of wired USB Type-C headphones. Yes, it seems like Google is now planning to include a set of Pixel Buds-like earbuds in the box alongside the Pixel 3 lineup. This is an unexpected addition but falls in line with a leak for similar wired headphones from last year. It means you may no longer have to spend time scouring the net for a decent set of USB-C earphones. 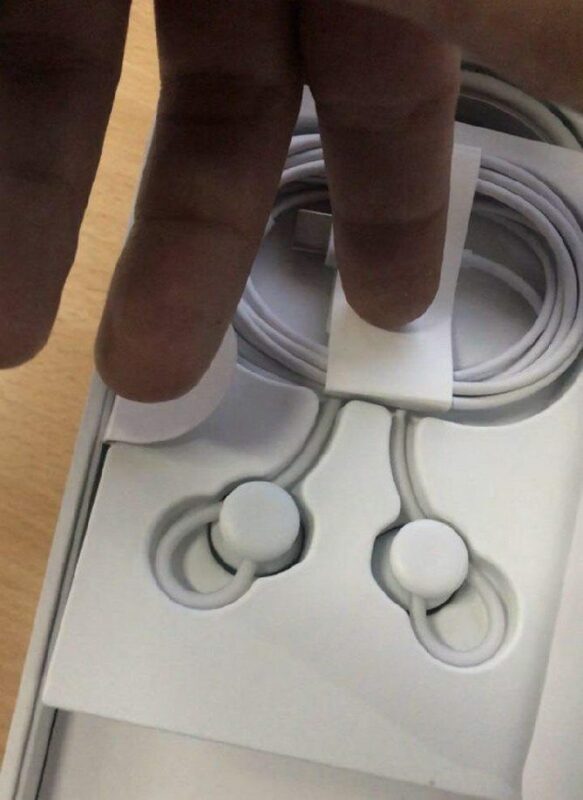 But, if the wired Pixel Buds do not suit your fancy and you still plan to use a personal pair of wired headphones, with a 3.5mm jack, then it will include a dongle inside the box as well. If the recent leaks are to be believed, then Google is expected to unveil the Pixel 3 lineup on October 4. 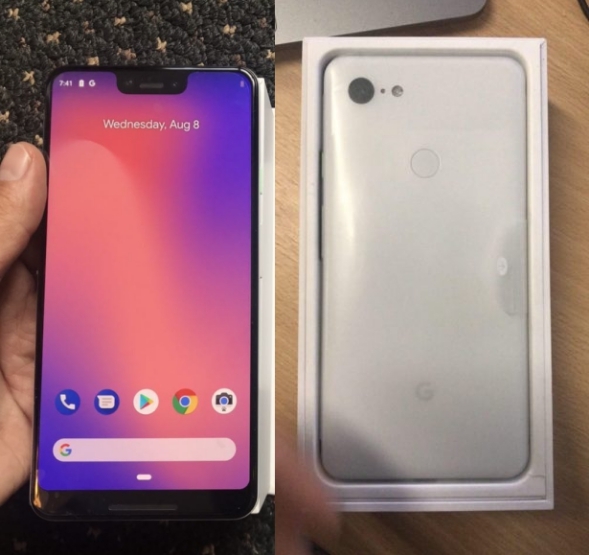 So, do you like the look of the Pixel 3 XL from the leaked images? Let us know in the comments down below.